Niagara Falls Tour is one of seven wonder of the world. It concluds US part and Canda part, and have different experience from these two parts. Some tips to visit Niagara Falls about tour pachages, bus services for self-driving, and Hotels near Toronto Airport. 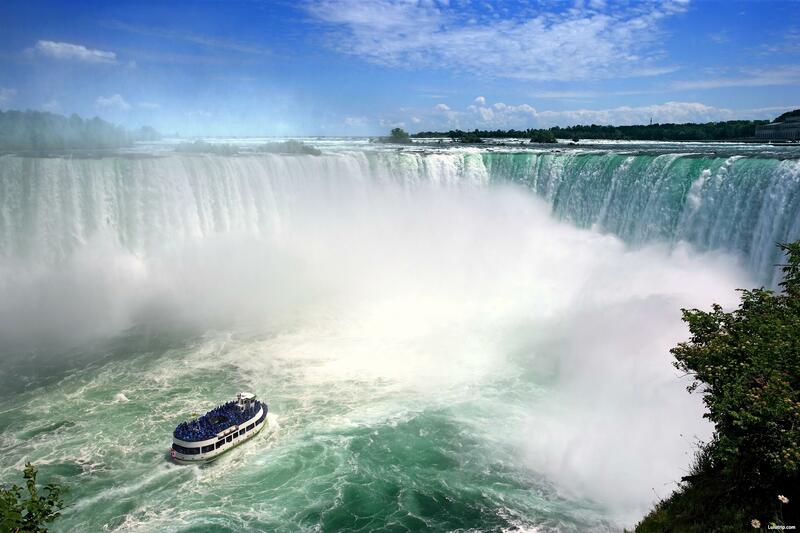 There are several special Niagara Falls tour packages that may work better for large groups of tourists. Guests staying in hotel accommodations near the Toronto International Airport, for example, can pay around $108 for a round-trip that will take them directly from the airport to Niagara Falls and back again. This is a great, hassle-free option for those willing to spend a bit more. Guided tours to Niagara Falls are also a great option. Guests can purchase package deals that include round-trip bus or train fare, options for boat rides or ferries in the falls, and even dining vouchers and special discounts on other attractions near the falls. Planning ahead of time is crucial when choosing this option, as during peak tourist seasons these tour options often fill up very quickly. Niagara Falls is a worthy excursion to consider on a Toronto vacation. This tourist attraction is truly magnificent, and its proximity to downtown Toronto makes it an easy day trip for individuals, families, or large groups. Two of the largest bus services in Canada, Greyhound and Coach Canada, offer round-trip and one-way bus journeys from Toronto to Niagara Falls. Tickets can be purchased in advanced, and guests can often choose reserved seating to guarantee that members of a large group can travel together. The journey from Toronto to Niagara falls will take about two hours by bus, so it’s important to start early. Both bus services start running before six in the morning, which means guests can arrive at the falls in time for breakfast. This is the cheapest travel option, as guests can get to and from hotel accommodations in Toronto for about $50. For those planning to fly into the city of Toronto, finding hotels near the Toronto airport is the best place to begin. Because of Toronto’s extensive and high quality public transportation system, getting to and from a hotel accommodation in Toronto is relatively simple. Even though the airport is set just outside the city center, guests to the city can easily get to the center of all the action by hopping a train, subway car, GO bus, or public taxi. Toronto airport accommodation is often more affordable than hotels in the city center, so this is a great option for families who want to save money on their trip. For individuals who wish to be in the heart of the city, accommodation in Toronto near the city center is a great option.